Brad, what should a Stewart look like when it is prime for harvest? I have my first, very small, crop this year. Should it have a little bit of black on the skin, or be completely black? Thanks. You can let them get all black and pick or let them fall off. They will not get over ripe, they just fall off the tree when ready. At least thats what happens here. Theres a few pics of them on this page I posted. Thats how they come off the tree, black as night. Thanks for the response. I guess I'll have to wait longer. Even the fully shaded fruit get all black on the tree? Heres a lamb hass next to stewart. The lamb is really superior in every way. The only thing stewart has going for it over lamb is that it ripens in 6 months instead of 12 to 18. 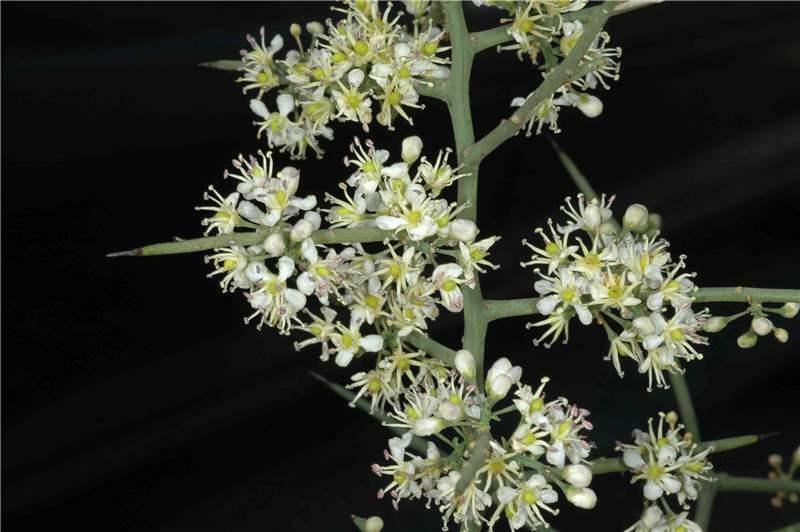 The lamb tree is really vigorous, heat and salt tolerant, heavy producing. 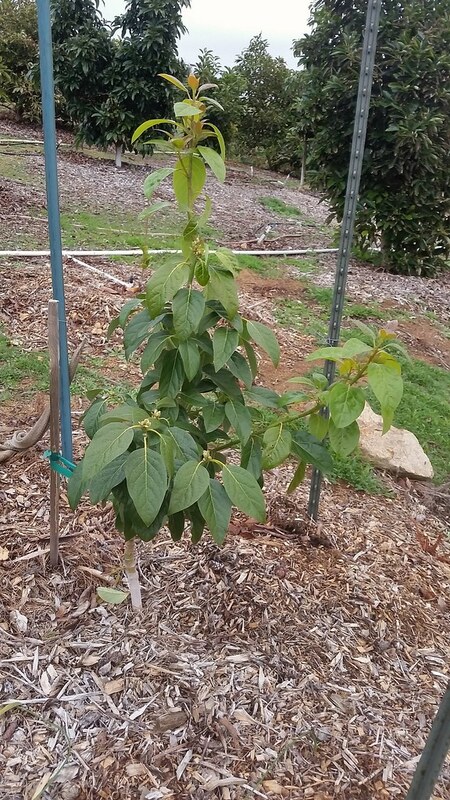 This is a really good avocado to grow. Brad, i'm starting to get intereste in Lamb Hass variety, do you think it would grow and fruit in my climate? I have no idea Lory. Maybe since people are growing it in Hawaii. The guys in hawaii on this forum would know best. Some guy is buying scions from me to start a farm in the philippines. He has been buying hass and reed sticks. Im not even sure hass will grow there. Never been to the philippenes, if its like florida you probably need the west indian watercados. Do you know if people grow hass there? Thanks Scott! Have done 85 grafts this year, most on established greenhouse in ground trees. Mark, are you growing stewart, can't remember if you got that one growing? I think Im going to yank mine. Its a good fruit but they fall off and the tops of the fruit all crack. Then they fall off and fire ants and rodents start eating them. Its pretty annoying. Heres some that fell today. Ants were eating them where they are cracked and a mouse ate one of them. All my Stewart grafts failed....I'm cursed. Not that I care, thanks to "some" nice SoCal gentleman I've got better things going on. I agree, kick the losers to the curb. Yeah they turn black even inside the tree. They will fall off when they are fully ripe. At least wait until its black if you are going to pick them. Once they start to ripen up, it happens pretty fast so don't worry if you arent getting action yet. How far from the ocean are you there? Thanks again. That's helpful info. I'm about 3 miles from the ocean and get lots of coastal fog, and then at this time of year, we get some screaming, hot, dry Santa Anas. 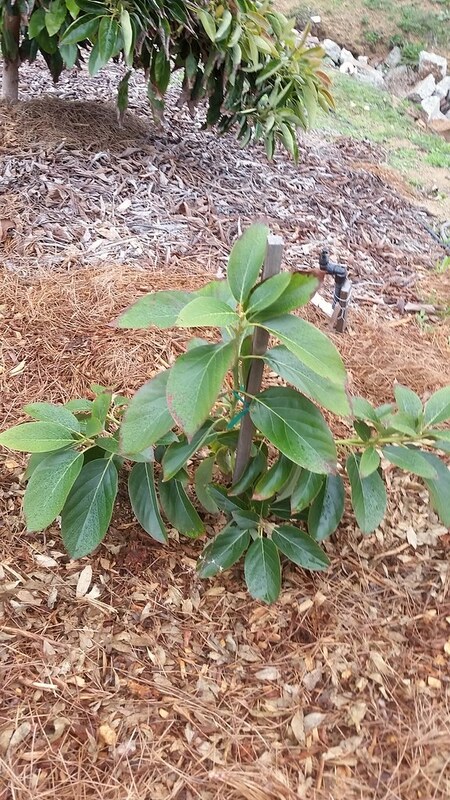 I have a Hass here but it's just a seedling of 4 years old. It's growing nicely but until now no fruits. Last march it flowered but it was just a couple of them, maybe next year i'll have the answer to my questions. FOr now I enjoy the only one tree which flowered, a seedling that is giving excellent fruits and that I decided to name MODENA as my hometown. Since you are further north and way closer to the ocean its going to take longer for yours to be done. Probably give in another month or two. Post back and let us know. I bet yours end up hanging a lot longer as they will be hitting maturation during the colder months. Avocado or Aguacate , Avo or cado. Avo has been slang for a long time now, an add on to your sandwich, Burrito, salad .... Whatever, It's understood " Add Avo PLease"
" Side of Avo please" . It rolls off your tounge and is a pleasant abbreviation. Living in ground zero for slang creation , new words for old things are not uncommon. I can't recall a slang word I have less fondness for than 'cado. It sound's ....bad, like it's made up by people who dislike vegetables and fruit in general . My redneck family member's would have a hard time pronouncing Avocado or Avo without feeling silly, but I know they are comfortable with the rough and tumble 'cado, whatever the hell that is. " I got some "cado here , you want some?" . No, I do not. It sounds like fried alligator entrails and no one know's what your talking about in not a good way. Avocado is a most highly revered fruit for many people's , unduplicatable in it's content and unique all the way around. 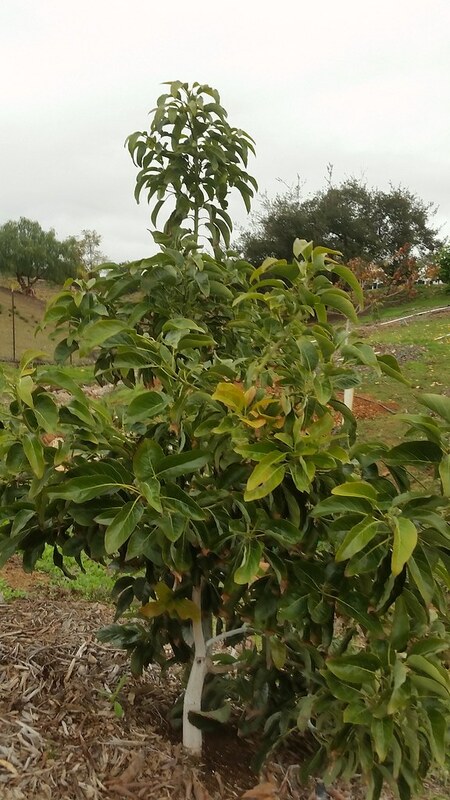 Thus as it was debated over 100 years ago , Avocado or Aguacate, the made up word , Avocado won out and hence we face this great debate of minor importance to those whose diet and livelihood do not depend on it, but this is serious fruit business. I have a lizard friend that lives on my Reed tree. Not too sure if that’s a good thing or a bad thing. I am not too sure. I always thought all avocados flowered around spring time. 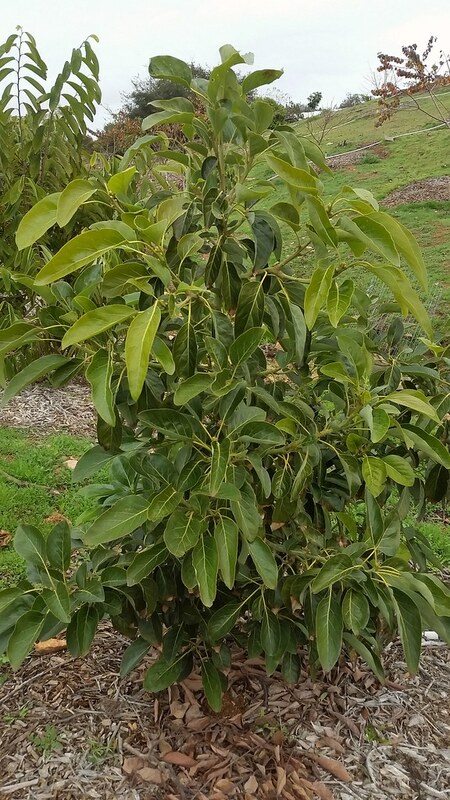 i started to collect many avocado variety, i hope most of them can grow well in my country.. 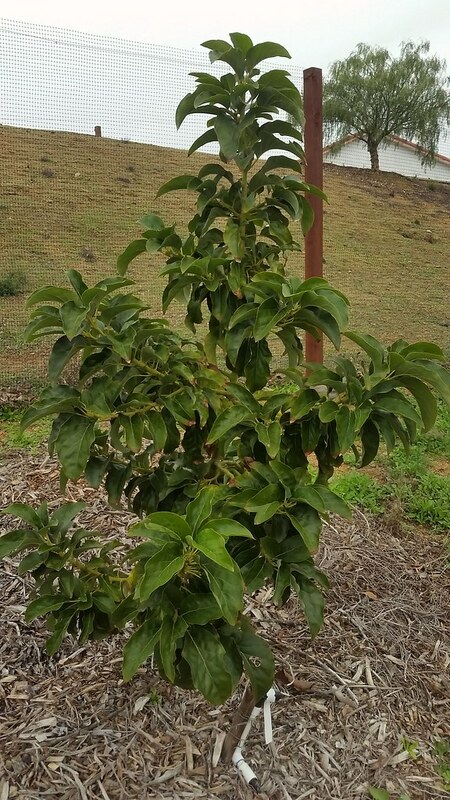 I'm interested with this avocado, anyone know what variety it is? its daily 11 or something else? I'll report back. I figured they'd ripen later than yours. We'll see how much later. Thanks. I have some healthy seedlings growing on a raised mound. The mound is only 15 inches tall, the seedlings are perhaps 20 inches tall (being 1 year old). Recently, I found out that the reason avocadoes fail is because once their taproot hits clay, it is only a matter of time until it gets root rot. I really needed a taller mound to avoid this problem. Should I risk trying to elevate the mound? Or will the seedlings likely get serious damage. How deep would taproot be at one year old? 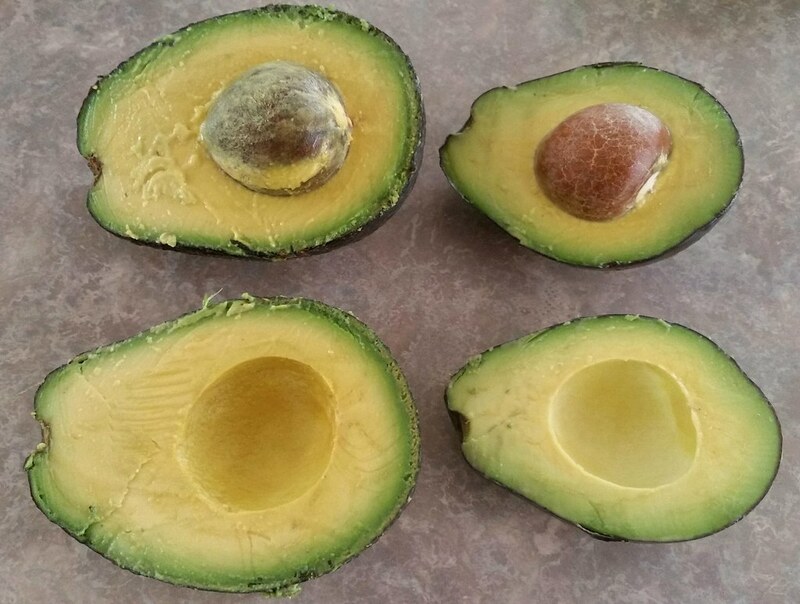 Avocados don't need a taproot. The Japanese intentionally terminate it in favor of a fibrous and wide but shallow root system. (I do the same with Rootbuilder). The production is unreal. Check out these Pinkertons. Edited out the Christmas card, sorry! 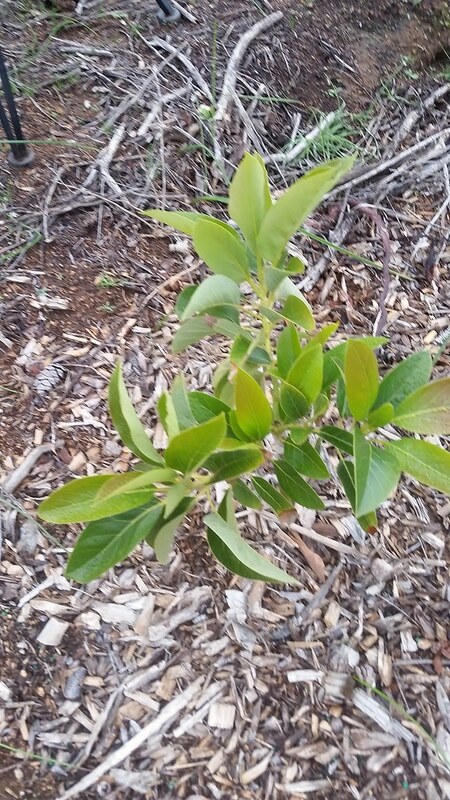 Here some pics of trees planted last summer. They are starting to grow nicely. 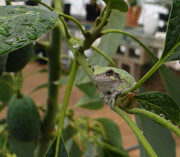 All this rain should equal a great avocado year. Kahaluu, I actually just dug this one up and moved it a few weeks ago. It didnt seem to care at all. I planted 10 reed seedlings. Heres 3 of them. They will be allowed to grow and fruit. Mexicola Grande grafted late summer took off. Seems really happy here and tolerant of the heat. Just reporting back on Stewart in Ventura. The handful of fruits on my tree ripened starting near the end of November and were done about two weeks ago. Like Brad showed, the skin usually cracked at least a little. They weren't fully black in color when the cracking started. They were good, but not great. Most had a little bit of fiber. I don't know if that means too ripe or not ripe enough -- or neither. Stunning Brad! They really look good and man, what excellent choices. Love the pine needle mulch. Thanks Mark and Scott. 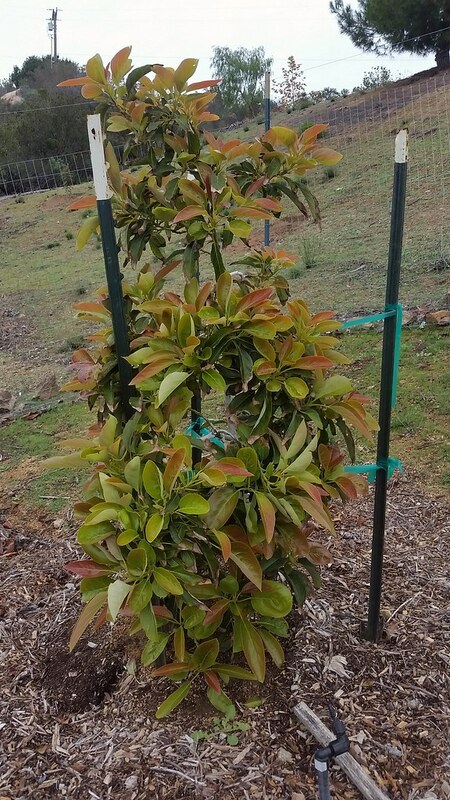 I have more of the Hawaiian ones that were grafted in late summer. They're all planted out too but still super tiny. Once they hit their stride I will take some pics. These ones in these photos are going to take off when it warms up. 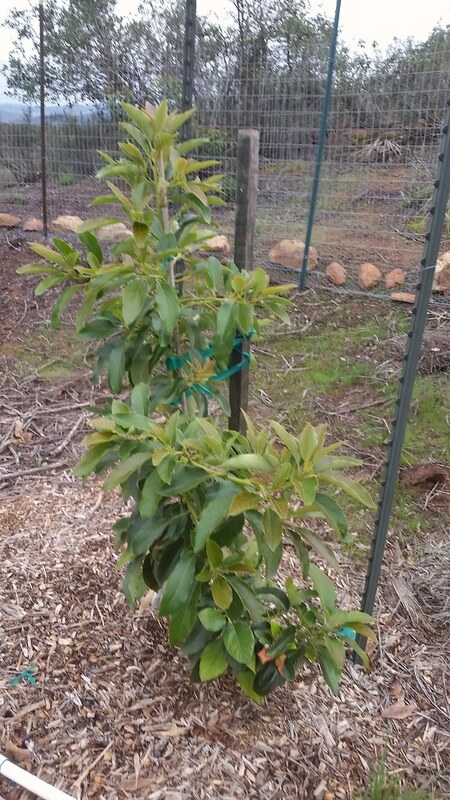 Anyway I am officially done planting avocado trees. I think we ended up with around 40 trees. 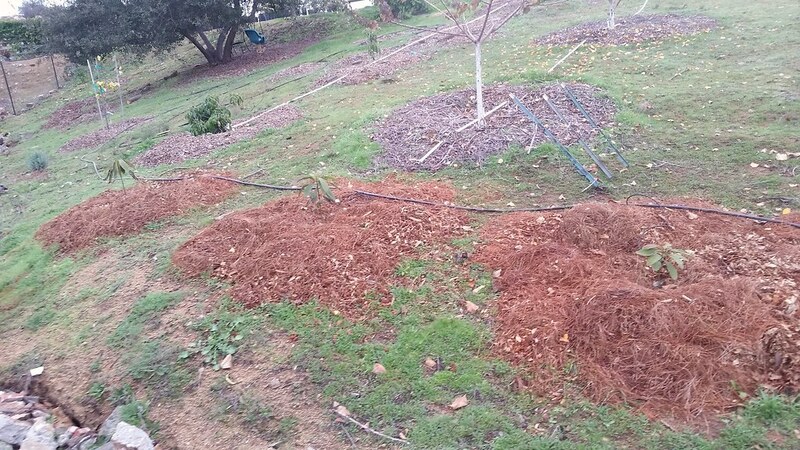 Pine mulch, yeah I have a good local tree trimmer that is happy to being me the stuff. I have him only bring pine or pine mixes. Just when you think you might know everything about the Mexican Avocado variety. I apologize if this has already been previously posted.